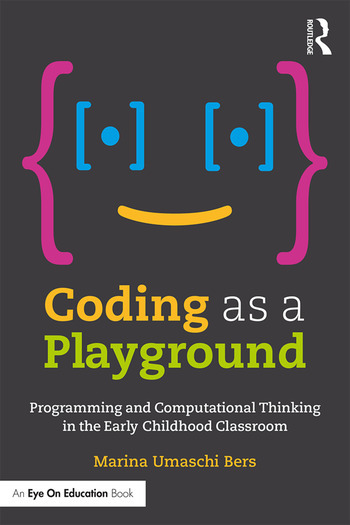 Coding as a Playground is the first book to focus on how young children (ages 7 and under) can engage in computational thinking and be taught to become computer programmers, a process that can increase both their cognitive and social-emotional skills. Readers will learn how coding can engage children as producers—and not merely consumers—of technology in a playful way. You will come away from this groundbreaking work with an understanding of how coding promotes developmentally appropriate experiences such as problem solving, imagination, cognitive challenges, social interactions, motor skills development, emotional exploration, and making different choices. You will also learn how to integrate coding into different curricular areas to promote literacy, math, science, engineering, and the arts through a project-based approach. Marina Umaschi Bers is a professor in the Eliot-Pearson Department of Child Study and Human Development and an adjunct professor in the Computer Science Department at Tufts University. She heads the Developmental Technologies Research group where she studies innovative ways to promote positive childhood development through new learning technologies. Marina co-developed the ScratchJr programming language in collaboration with Mitch Resnick from the MIT Media Lab and Paula Bonta from the PICO company. She is also the creator of KIBO, a robotics platform for children 4 to 7 that can be programmed with wooden blocks (no screen needed), which allows young builders to learn programming and engineering while integrating arts and crafts.